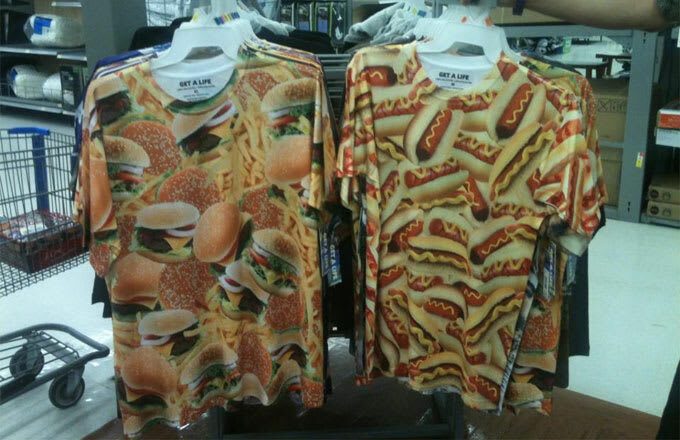 I never truly appreciated the Men's Clothing section of Walmart​ until I purchased the Burger shirt you see above. As a child, I depended on Walmart for athletic socks and sweatpants, but it was only as a drunken adult, keeping my boredom at bay through the neon aisles, that I realized how gloriously ridiculous their clothes are. Reliably, there's a hearty dose of patriotic red, white, and blue—with a hint of nostalgia. Perhaps that's why one of their in-house lines is called "Faded Glory." There's guaranteed to be pop culture-referential gear, from stoner mainstays like Bob Marley to Bible Belt-heroes like the cast of Duck Dynasty, and other extremely marketable icons who have become multi-national brands unto themselves. But once you get past the Lynyrd Skynyrd shirts, the bald eagles, and the Looney Tunes tees, things get weird. 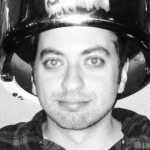 Unlike frozen pizza or toilet brushes, what Americans want to wear is not a sure bet, and judging by the clothes at Wal-Mart, even megacorporations have no clue where to start. Luckily for us, their guesses are often hilarious. Here are The Most Ridiculous T-shirts Currently For Sale At Walmart​.